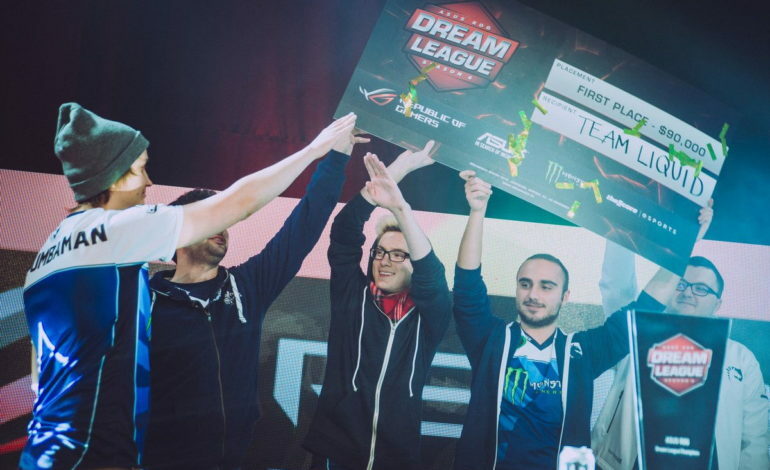 Team Liquid reclaimed their former glory and a new championship title at DreamLeague s6 Finals. The reconstructed team had a flawless run through the playoff event, ending with a 3:0 dominance over Escape Gaming in the grand finals. The European mix walked away with the $90,000 prize and their spirits high for a brighter future. Team Liquid’s perfect run to claim the championship title DreamLeague s6 Finals is the talk of the town. Post TI6, the team’s reshuffle bid farewell to both Jesse “JerAx” Vainikka and Adrian “FATA-” Trinks – while welcoming Kanishka ‘Sam’ “BuLba” Sosale and famed 9k MMR player Amer “Miracle-” Al-Barkawi. The fans were hyped for the new roster, but quickly disappointed in the team’s less than prominent presence. Falling short of qualifying for Boston Major, and struggling through the season the team dropped out of Northern Arena Beat Invitational due to roster changes. Although nothing was officially announced, shortly after Maroun “GH” Merhej began to play the support role in BuLba’s stead. The reconstructed European team reignited spectacular performances and former grandeur. Without dropping a single match, the team ran through their opponents taking down Imperial Gaming, Alliance and Escape Gaming with relative ease. Clutch saves, sizzling synergy and coordination, brilliant baits, thrilling comebacks and knock out performances blew the competition away. Fans hopes and the team’s potential has been renewed. The total prize pool for the finals is $185,000.